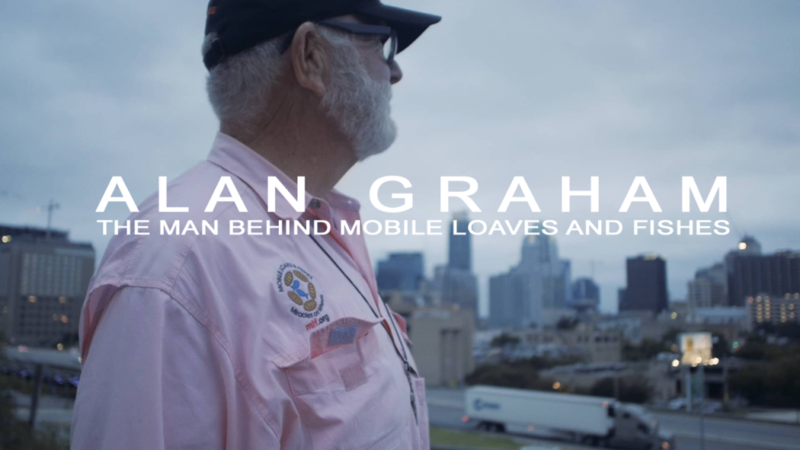 Join us Sunday Night, September 17th for a night of incredible Gospel music and a screening of the 2017 Best Documentary – Alan Graham: The Man Behind Mobile Loaves and Fishes. Tickets range from $12.50-$38.50. Our annual celebration of the best shorts from past festivals. The Best Shorts from the past 10 years of our festival! 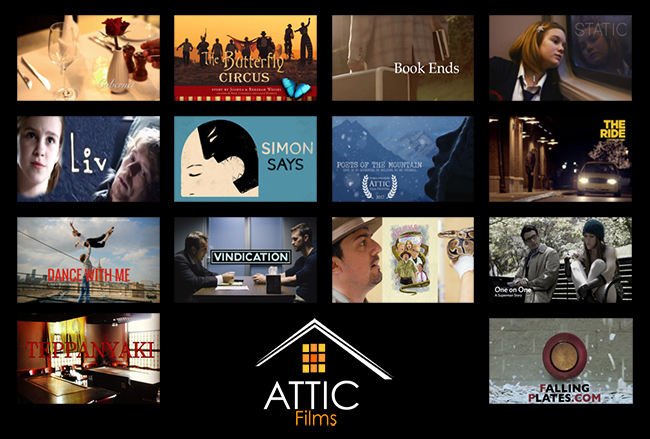 Synopsis: Join us on our annual celebration of some of the best shorts from previous Attic Film Fests and Q&A with the filmmakers and performers. Each year, this has been one of our audience favorite events! About Monday Movie Nights: Back by popular demand, The Attic Film Fest brings back its monthly Monday Movie Nights at the Alamo Drafthouse. For $10 online ($15 at the door), you get to watch premium Faith-based films and ask questions to the director/producers/performers of the project. Each of these screenings was sold out last year, so get your tickets early! Unspoken and Zach Williams in Concert! 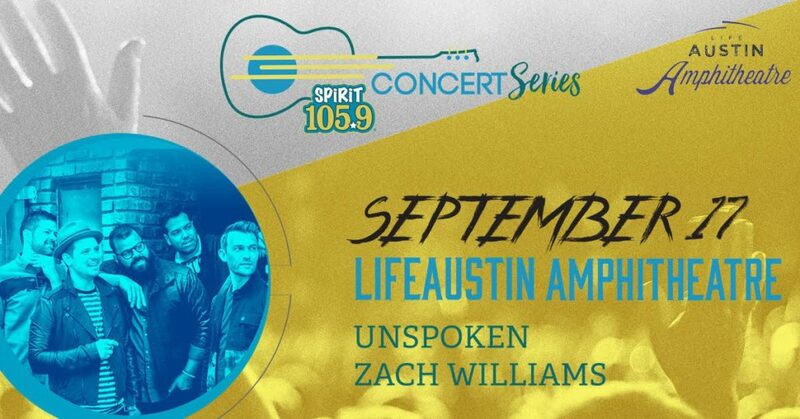 Performing at LifeAustin as part of the SPIRIT concert series thanks to our friends at Lamb’s Tire and Automotive! Austin’s own, TheResponse will also be a part of the show! Enjoy a family fun zone from 3:00-6:00PM and autographs thanks to M/I Homes. Unspoken will sign autographs at 3:30PM and Zach Williams will be at 4:00PM. Tickets now on sale! Money made from this concert will go to benefit families impacted by Hurricane Harvey through the efforts of Austin Disaster Relief Network. 1st Capital Certified Roofing and Restoration will be helping ADRN collect donation items like our clean up kits. World Vision will also be there for this special cause. SYNOPSIS: As a young commercial real-estate developer, Alan Graham had his sights set on wealth. Then a profound inner transformation led him to begin serving food and clothing to the homeless on the streets of Austin, TX. This film follows his spiritual journey as he learns that serving the homeless means more than just providing them with food and clothing for a day; it requires a lifetime of dedication and generosity. Through the ministry he founded, Mobile Loaves & Fishes, Alan and his team have transformed the lives of hundreds of men and women living on the streets.